It was Sir Samuel Cunard’s birthday on November 21st and to mark the occasion Cunard Line released a pretty interesting press release. 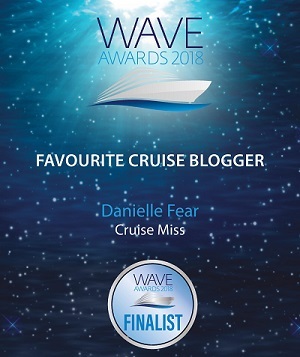 I know I’m a bit late with it, but I did want to share it with you as it was a fascinating read and I know many of you Cunard fans out there will appreciate it. It read as follows……………. Two hundred twenty-six years ago, on 21 November 1787, Samuel Cunard was born – a momentous day indeed! 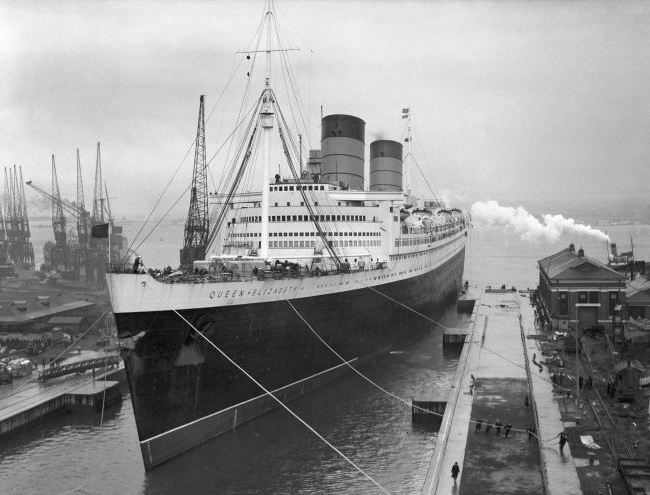 His triumph in life was the foundation of what became universally known as Cunard Line and the establishment of the first scheduled service across the Atlantic. 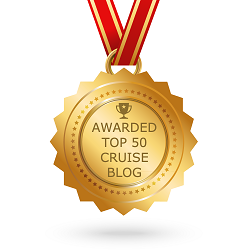 That was a first; and what Cunard started, Cunard will one day finish! Samuel Cunard established the British and North American Royal Mail Steam Packet Company – known from the outset as the Cunard Line – in 1839. It is difficult now to appreciate what a huge risk, what an enormous leap of faith, was involved in doing this. The oddest thing is that the company was ever formed by a man like Cunard at all. The gamble, the challenge, the uncertainty, the sheer modernity of it all would have sat well with a man like Brunel, but not with Samuel Cunard. To begin with, a Canadian of American parentage does not seem the classic candidate to establish a British icon. And a man so unremittingly prudent, conservative, cautious and austere equally does not seem the man to take such huge economic risks or to push the edges of known technology that the founding of the company entailed. But by 1840, at what was then the advanced age of 53, Cunard had established a scheduled weekly steamship service across the Atlantic against formidable financial and technical difficulties, just two years after the first successful steamship crossing of the Atlantic. And in every one of the 173 years since, Cunard ships have crossed and re-crossed the Atlantic, in peace and in war, without fail, like shuttles in a gigantic loom. 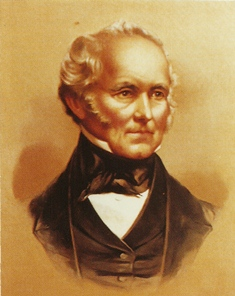 Samuel Cunard was born in Halifax, Nova Scotia. With his father and brothers, he built up a thriving sailing ship company and pursued numerous other commercial interests. A prosperous, contented family man, happily settled in the town of his birth, a major figure in the local community and a prudent but conservative businessman, he suddenly risked everything he had and moved his family to Britain for a venture which, at the time, was so near to the cutting-edge of technology that it was regarded by many as foolhardy. What prompted the departure from his placid and prudent norm was an advertisement by the British Admiralty for bidders to operate a timetabled steamship service across the Atlantic to carry the Royal Mail. The Admiralty, at that time responsible for carrying mail to the colonies, had seen how the introduction of railways on land had revolutionised the internal mail delivery. They wanted a maritime extension of the railways to do the same for the overseas mail. At that time sailing ships carried the overseas mail, and delivery time to Canada was at least six weeks, with a fair risk that it would not arrive at all – and certainly there was never a firm arrival date. Samuel Cunard, despite having no experience with steamship sailing and no suitable ships, tendered for the contract and secured it. The financial risks – exacerbated by huge penalties for late or non-delivery of the mail – were ruinous and, as with all new and untested technology, the potential for catastrophe was ever-present. Cunard’s first steamship, Britannia, left Liverpool on 4 July 1840 – arriving in Halifax 12 days later to an overwhelming welcome. Britannia was rapidly joined by three sister ships offering a weekly service – a genuine maritime extension of the railways. 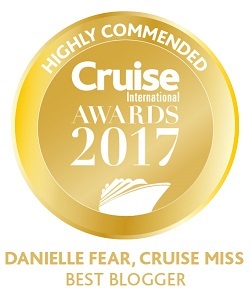 Underwritten by the mail contract and bolstered by an unblemished safety record, Cunard’s new line prospered despite an onslaught of heavily subsidised foreign competition. Samuel was given a baronetcy by Queen Victoria in 1859 in recognition of his company’s service in the Crimean War – a service repeated in times of war on many occasions since. By now a permanent resident in London, Sir Samuel died on 28 April 1865 and is buried in Brompton Road Cemetery. But his name lives on as the most famous shipping name of them all. Over 900 ships, across 139 associated companies, have proudly flown the Cunard flag. 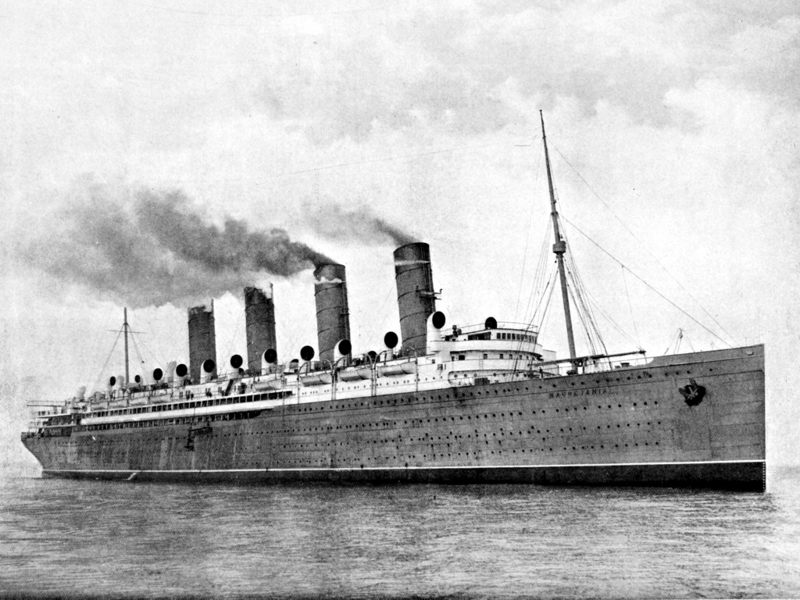 Some of these ships have been the most famous in history: Mauretania, Aquitania, Queen Mary, Queen Elizabeth and QE2; while today’s Cunard Line fleet –Queen Mary 2, Queen Elizabeth and Queen Victoria– are not only the largest ever built for the company but also the most famous sailing today. Flagship Queen Mary 2, which celebrates her 10th Anniversary in 2014, is the largest, longest, tallest, widest and grandest ocean liner ever built and is the only ocean liner in the world today, as well as being the fastest passenger ship afloat. 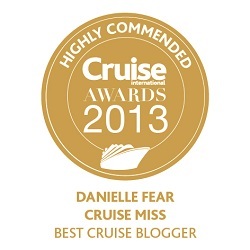 Interesting Danielle, and no doubt written by someone at Cunard many decades ago. But it was written as if Sam Cunard had just come out of the blue after some experience with a few sailing ships. I wonder if it’s time Cunard researched some of its own material to bring it up to date though as, in fact, founding the North Atlantic service was based on a mail contract and as such, while a major step on Cunard’s part, was a natural progression from his previous activities. Sam had been involved with Royal Mail contracts since 1827, when he had first engaged the brigs Emily and Susan to run between Bermuda and Annapolis, Maryland, and then between Halifax and Boston, relaying incoming mails to America from the Admiralty’s Falmouth packets. At its peak, about thirty of these Falmouth packets were employed to carry the mails across the Atlantic. By 1833, Cunard had added a Halifax-Bermuda service, again using sail. But the Halifax-Boston run was dropped in 1840 with the arrival of the new Transatlantic ships. As a sign of the arrival the Cunard’s new Transatlantic service, the famous Falmouth packets, whose mails Cunard had distributed now for sixteen years, moved to Southampton in 1843 and had been completely dispersed by 1850. Early on in his dealings with the Royal Mail, in 1831, Cunard had also become a shareholder in the 830-ton steamship Royal William, which ran between Quebec and Nova Scotia. She became the first steamship to cross the Atlantic entirely under her own power when she was sent from Quebec to Gravesend to be put up for sale in 1833. Another point, little known, is the fact that the man in charge of awarding the mail contract was Admiral Sir William Edward Parry, who had been appointed comptroller of the packet service in April 1837. Parry, for whom Parry Sound is named in Ontario, had been a good friend of Cunard’s when he had been posted to Halifax twenty years earlier. Over the objections of the Great Western Steamship Co, which had first bid on the North Atlantic mail contract in 1838, in the following year Parry accepted a proposal from Cunard for a three-ship service from Liverpool to Halifax, with an extension to Boston. A fourth ship was added later. After a few years of Cunard’s North Atlantic operation, his Colonial Line was employing three 275-ton Royal Mail steamers, the Falcon, Kestrel and Ospray, on routes from Halifax to Bermuda and Halifax to St John’s, Newfoundland, delivering mails brought to Halifax in the Transatlantic ships. As paddle steamers had a tendency to suffer damage in ice, these ships were screw-propelled, an advance that would follow with the North Atlantic ships. In 1850, the Colonial Line opened a New York-Bermuda-St Thomas line, but in 1854 Halifax replaced New York as the northern terminus. At this time, the 528-ton Curlew was the chief ship. Even after Cunard’s Transatlantic steamers stopped calling at Halifax in 1867, in favour of New York, Cunard’s Colonial Line introduced larger ships and took the mails from Cunard’s successors at Halifax, first the Inman Line and then the Allan Line. By then, the mainstay of the Cunard Colonial fleet consisted of the 653-ton Alpha and 645-ton Delta, to which the 1,070-ton Beta was added in 1873. Cunard’s Halifax-Bermuda-St Thomas service continued until 1886, when its mail contract finally ended. When the Halifax firm of Pickford & Black took over the Halifax to Bermuda and West Indies run in 1888, Cunard even managed to sell them its old Alpha and Beta. Cunard’s Transatlantic service had abandoned Halifax in 1867, which was ironically, the year in which Nova Scotia and a number of other British North American colonies formed the new Canadian Confederation. And while Cunard’s Colonial ships continued to call at Halifax until 1886, it did not re-enter the Canadian Transatlantic trade until 1911, when it opened a separate Transatlantic service from Liverpool into the St Lawrence River at Quebec and Montreal. Despite having been founded by a Nova Scotian, later dubbed Canadian, Cunard steamers had actually been absent from the Canadian Transatlantic trade for forty-four years by then. 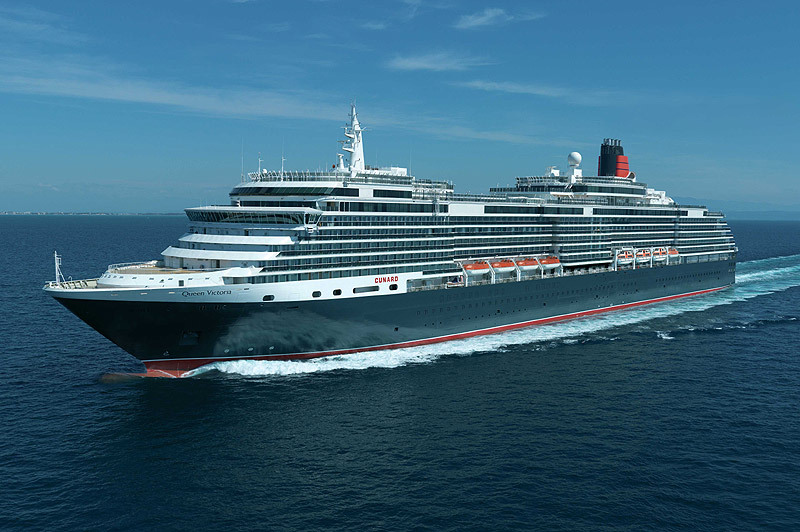 But 2014 will see a number of Transatlantic calls made by the Queen Mary 2 at Halifax. nothing like it.. went to Europe on the Queen Mary with my parents.. its a a ship.. you don’t forget no matter how old you get!!! my goal is to board the NEW queen Mary.. and spend a nite on the original in CA.. for memories.. as my bucket list!!! !